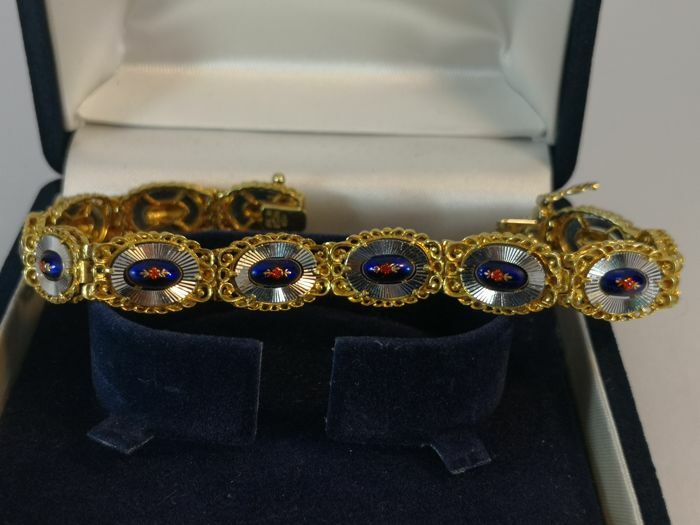 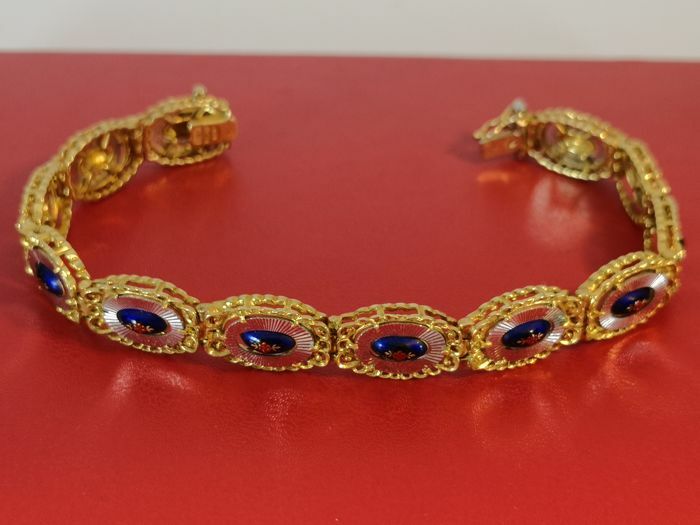 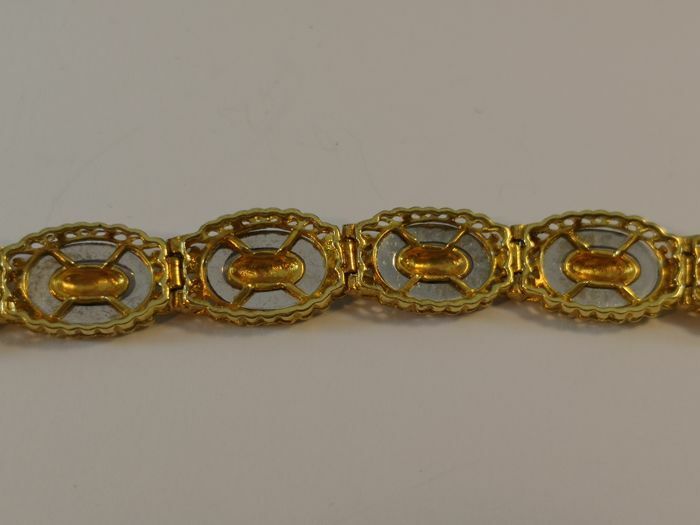 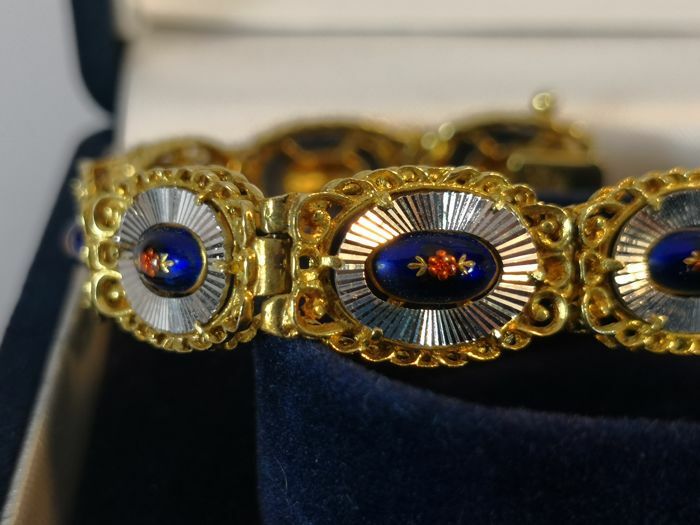 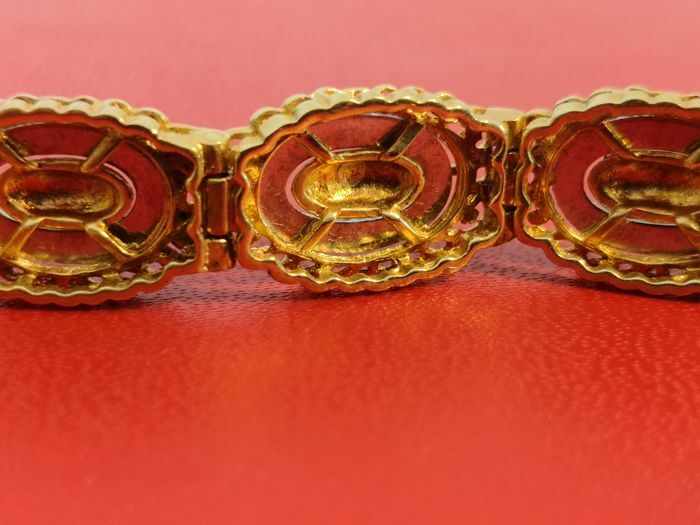 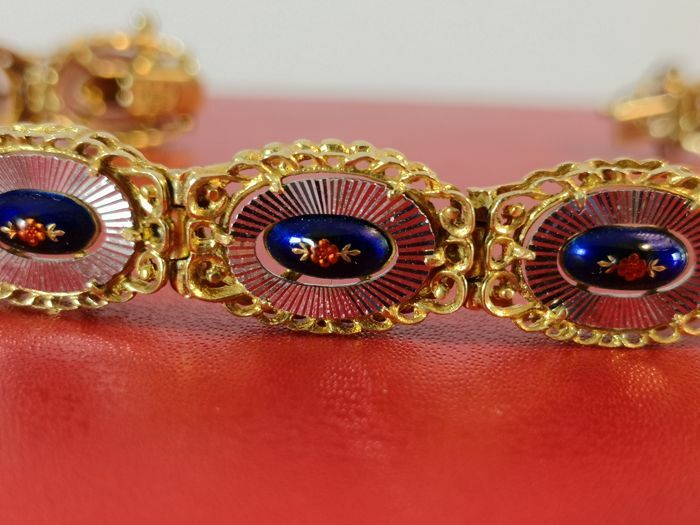 Amazing bracelet in yellow and white gold 18 kt and enamel with decorations painted by hand weight 23.9 g Sicily 50s/60s. 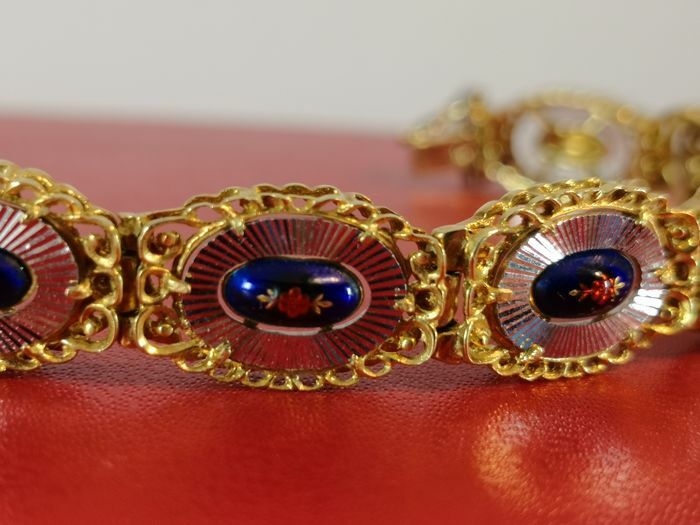 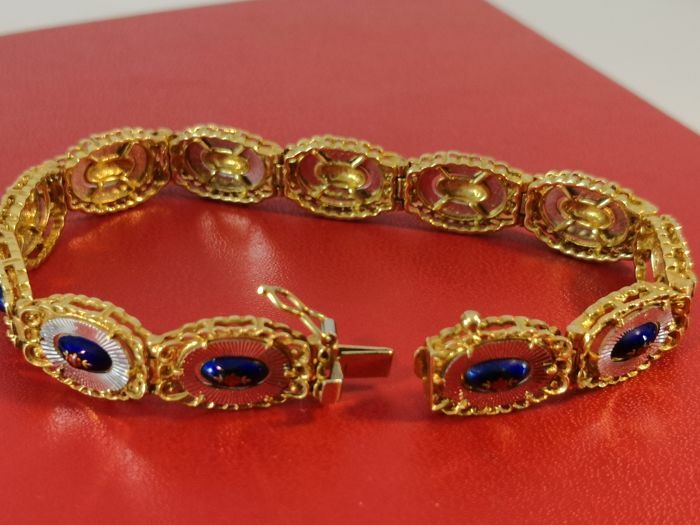 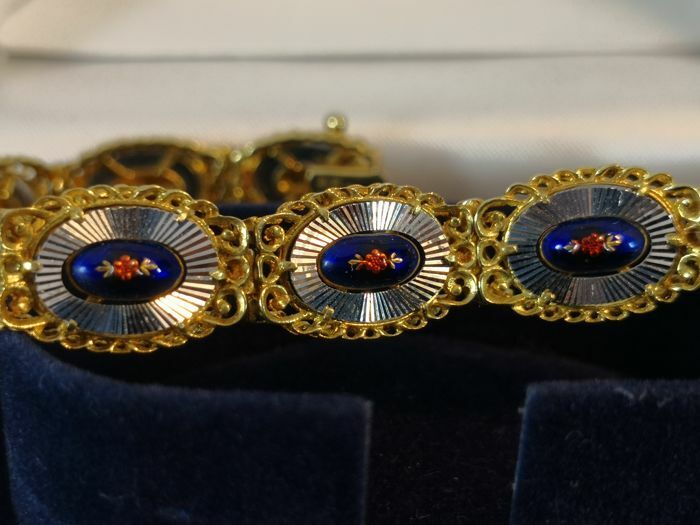 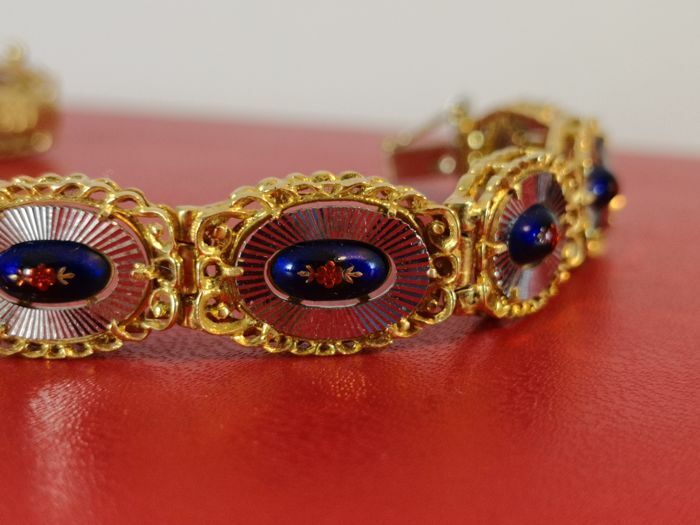 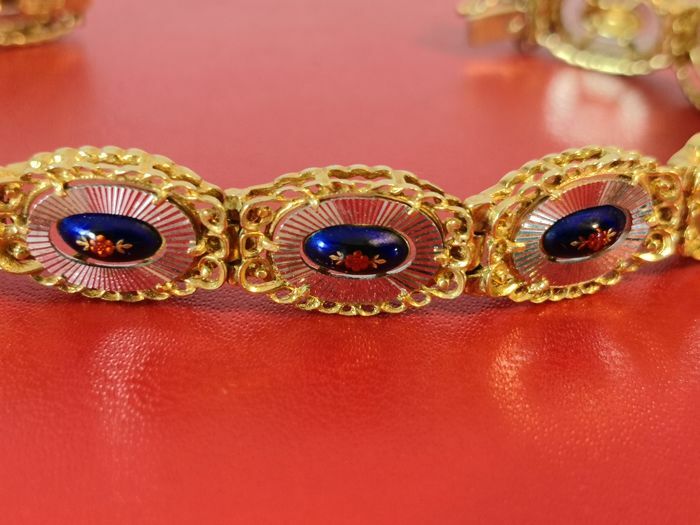 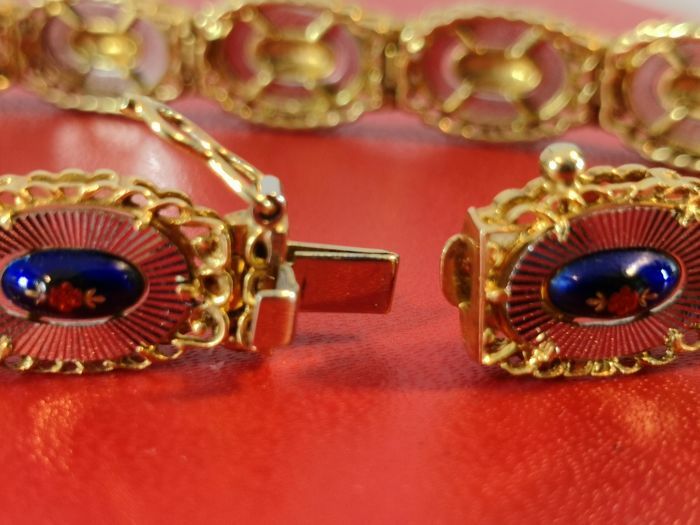 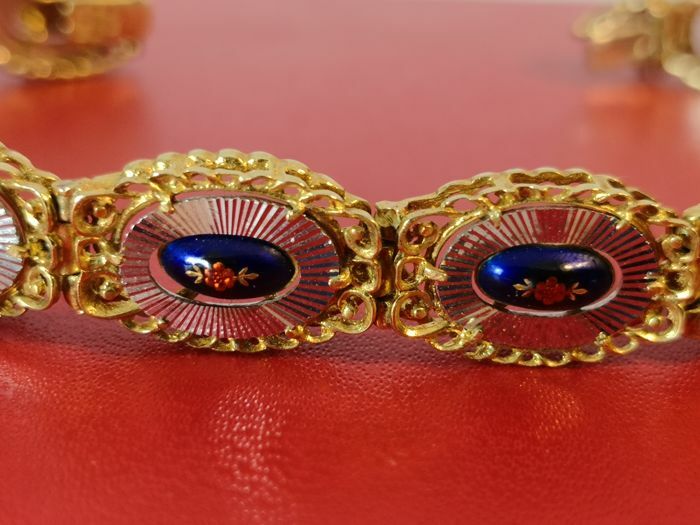 Very beautiful bracelet in solid 18 kt gold and refined enamel with painted flowers. 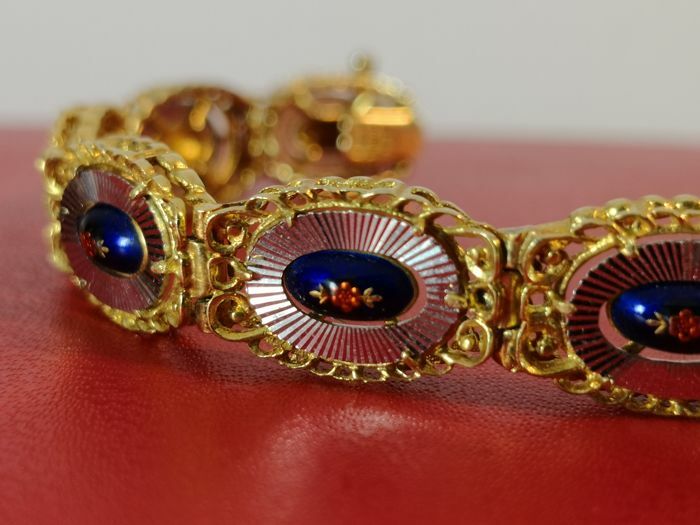 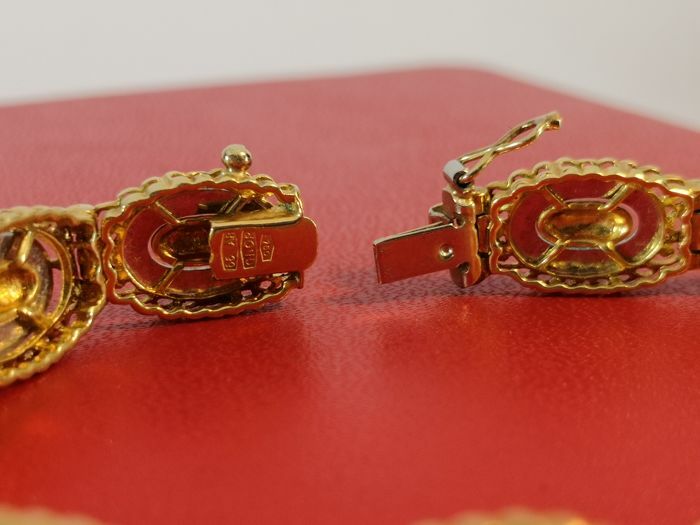 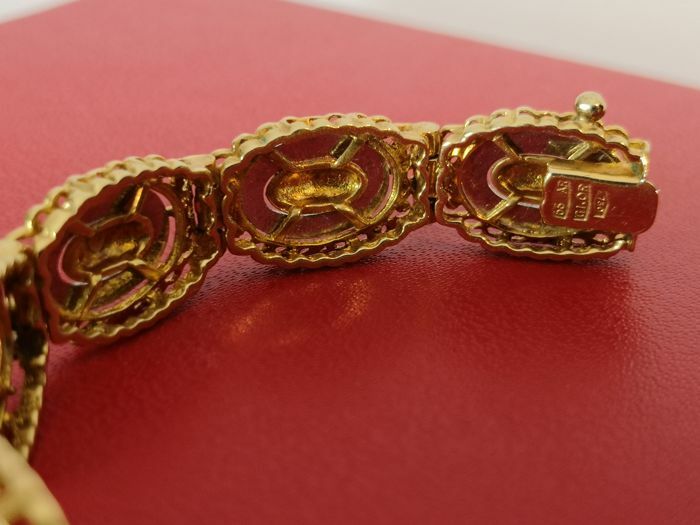 the jewellery item is made of articulated elements and hooked with hinges. 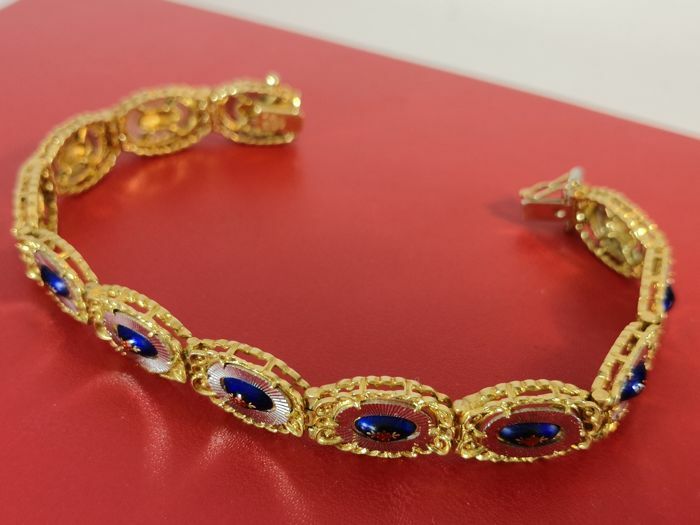 Each element is made of yellow gold worked with waves and a plate in white diamond gold, with a cobalt blue enamel oval painted in the centre with small garlands of flowers. 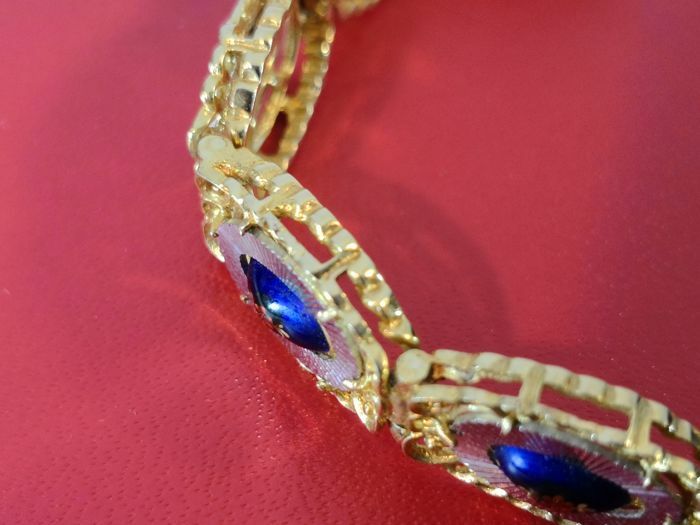 It is perfect in all its parts, has no wear, no shortage, is like new and is part of a private collection. 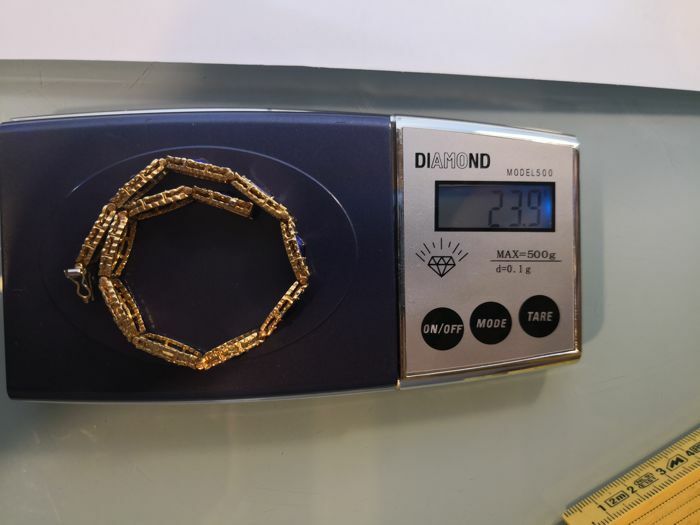 Admire it in the photo gallery, measuring 20x1.1 cm, its weight 23.9g.